Set on the shores of the Gulf of Mexico, Hangout Fest is music’s most luxurious weekend. With pools that front the Hangout Main Stage and hammocks lining the beach, fans can catch their favorite musicians in unparalleled comfort and proximity. From May 17th-19th, the 2019 edition of the festival will feature an all-star cast of performers from various genres. Almost Acoustic Christmas is an annual two-day festival put on my Los Angeles rock radio station KROQ. The 2018 edition goes down December 8th and 9th at the Forum. Hellfest is a French rock festival focusing on heavy metal music, held annually in June in Clisson in Loire-Atlantique. The 2019 edition takes place June 21st-23rd. Festival Estereo Picnic (Stereo Picnic) will celebrate its 10th anniversary in Bogotá, Colombia from April 5th-7th, 2019. This is Tomorrow is an open-air festival taking place at Spillers Wharf, Newcastle upon Tyne in May 2019. Punk Rock Bowling & Music Festival returns this May 24-27, 2019 to Las Vegas for Round XXI of the best punk rock and bowling party on the planet! For the past 20 years, no music festival has carved out as distinct a niche as Punk Rock Bowling & Music Festival. Started in 1999 by Shawn and Mark Stern, the brothers behind BYO Records, as well as founding members of the legendary Los Angeles punk band Youth Brigade, Punk Rock Bowling is one of the few events where the music is just as important as camaraderie—and a little friendly competition. 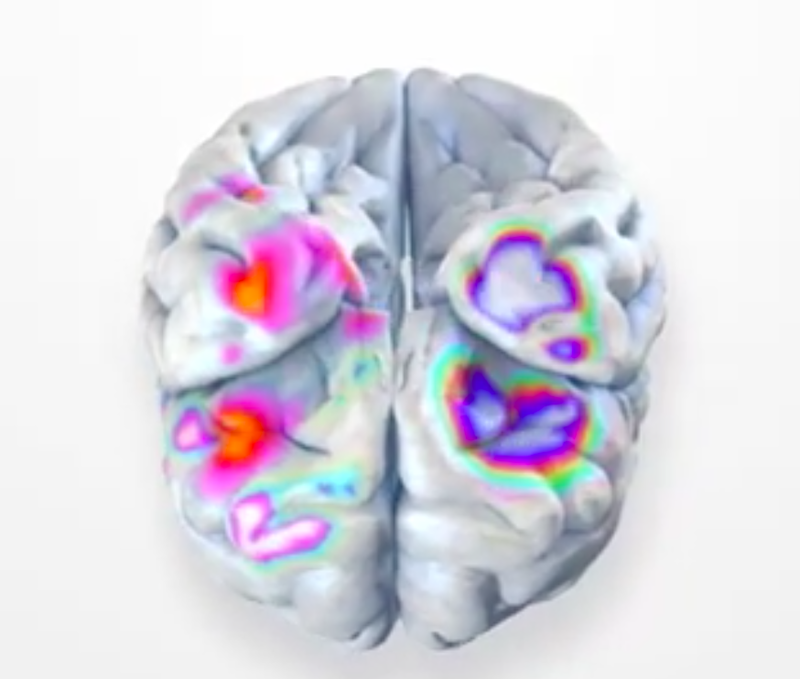 Lots of news this past week. Major owner and mover and shaker behind the venerable Tipitina’s may be in some deep legal trouble due to alleged investment fraud. But he (Roland von Kurnatowski) says that his dealings with the aggrieved parties are “misunderstandings.” It all remains to be seen and investigated. Trouble with Tip’s has been brewing for some time; several bands, after performing to sold-out (some multiple-night) shows, reportedly had trouble getting paid, and some were even issued checks that were returned for non-sufficient funds. When the word got out about von Kurnatowski’s financial woes—including the fact that he mentioned in a news report that he seemed willing to sell Tip’s—all manner of people started wanting to invest in the club, start GoFundMe pages, and the like. It was later announced the funk band Galactic may be involved in a purchase of the property, which is being discussed but not finalized by the time I wrote this. By the way, Tip’s is operating and is open as usual, with Galactic’s New Year’s Eve show scheduled as usual; so nothing’s changed at the club. Not to worry about Tipitina’s. Secondly, the word on street last week was that The Rolling Stones would play the Fair Grounds on the second Thursday, May 2. This has not yet been confirmed by the festival producers (probably because they might have been hoping the rumor would dissipate—as if!). They typically make a major deal about the reveal of the top-secret initial line-up at the Jazz Fest. It’s usually in January, but this year will be sometime in December (date not yet specified), probably because of the addition of the second Thursday, a separate price for the May 2 date (Brass Passes aren’t being honored on that date, much to the chagrin of Brass Pass purchasers and to WWOZ as well), and, well, the fact that the Stones are playing New Orleans, as per a Facebook video posted by Mick Jagger. Let’s just assume that Mick et Cie will be in Gentilly on May 2, so we can get over that speculation hump and move on. When those tickets do go on sale, this writer can guarantee they will be very, very hard to get, even if they cost more than your average local can or will pay. But: to see the Stones at the Fair Grounds? Worth quite a few duckies for a once-in-a-lifetime, I predict. Maybe the Stones will donate some of that payday to some worthy cause like the New Orleans Musicians Clinic. That, I would pay to see! Who else will play that day? We don’t know, but we asked our poll takers who they’d like to see. I don’t expect too many big names on May 2 other than the Stones. Otherwise, there the traffic and crowds may be something that Jazz Fest organizers (and attendees) may dread having to deal with. The post Lots of News appeared first on OffBeat Magazine. Astroworld Festival is a one-day festival curated by Travis Scott and taking place at NRG Park in Houston, Texas on November 17th. Shell has renewed its title sponsorship of the New Orleans Jazz and Heritage Festival through 2024. Treefort Music Fest is an annual music and arts festival featuring nearly 400 bands plus film, art, comedy, yoga, and more across multiple venues in downtown Boise in March. The 2019 edition goes down March 20th-24th. Does a kerfuffle over the WWOZ Brass Pass program hint that something very special, and very different, is on tap for the 2019 New Orleans Jazz and Heritage Festival? To celebrate 50 glorious years of the New Orleans Jazz and Heritage Festival in 2019, festival promoters have added a second Thursday, making the upcoming festival an eight-day event. 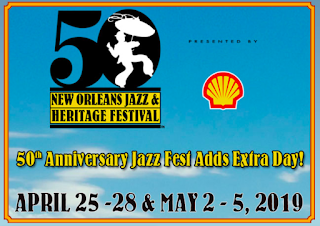 Thursday, April 25 will be the opening day of the 2019 Jazz Fest presented by Shell. The new day will be a “Locals Thursday” and anyone with a valid Louisiana ID will able to buy up to two tickets for that day at a cost of $50 each. Tickets must be purchased at the gate on that day. The second Thursday, May 2, is rumored to be a day that will have some incredible music that’s not usually seen at Jazz Fest. There’s a rumor circulating on the street that The Rolling Stones will kick off the second weekend of the 50th Anniversary of the beloved festival. Whether the Stones rumor is true or not remains to be seen, but we certainly expect that the second Thursday will be an extra-special day, performance-wise, and I certainly expect some big-name acts to be announced (Who would you like to see—and more importantly—pay a premium ticket price for on May 2?). The actual line-up on that Thursday has been kept very quiet, and will be announced in December, with the rest of the Fest’s schedule, about a month earlier than the Jazz Fest schedule is typically released. Gotta build up that anticipation! I also expect that there will be a premium admittance fee that Thursday, especially since we learned that the WWOZ Brass Passes will not be honored on that day, which has caused a fair bit of consternation amongst those who have already purchased Brass Passes for the 2019 Jazz Fest. 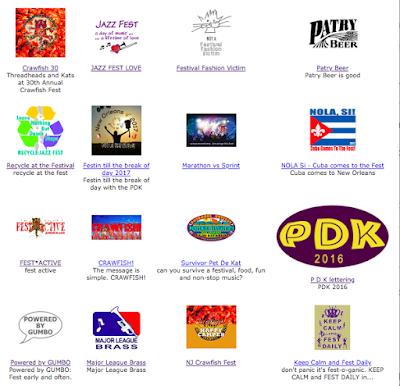 WWOZ certainly isn’t to blame for this; they are subject to whatever the festival producers have arranged. 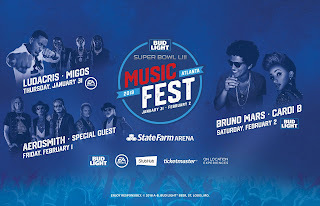 With the Festival’s shift since Hurricane Katrina to many more stadium-filling acts (due to the involvement of AEG promoters), I would imagine names like Elton John (nope, on European tour at the time, and passing through NOLA before Festival). How about Bruce Springsteen? Dave Matthews Band? Paul Simon (nope, he’s retired). Bonnie Raitt (possibly, as she loves New Orleans and Jazz Fest)? Beyoncé? U2? 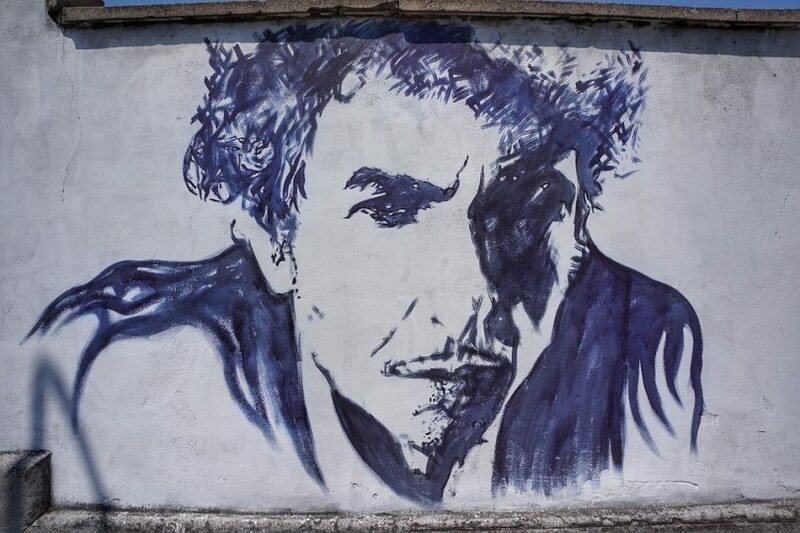 Bob Dylan? Van Morrison? Bruno Mars? Spice Girls Reunion? Taylor Swift? Roger Waters? Cardi B? Maroon 5? Harry Styles? Who would you pay, say, $100-$200 extra to see? Speculation runs rampant. Or would you rather see a more New Orleans- and Louisiana-centric lineup? The post 50 Glorious Years appeared first on OffBeat Magazine. 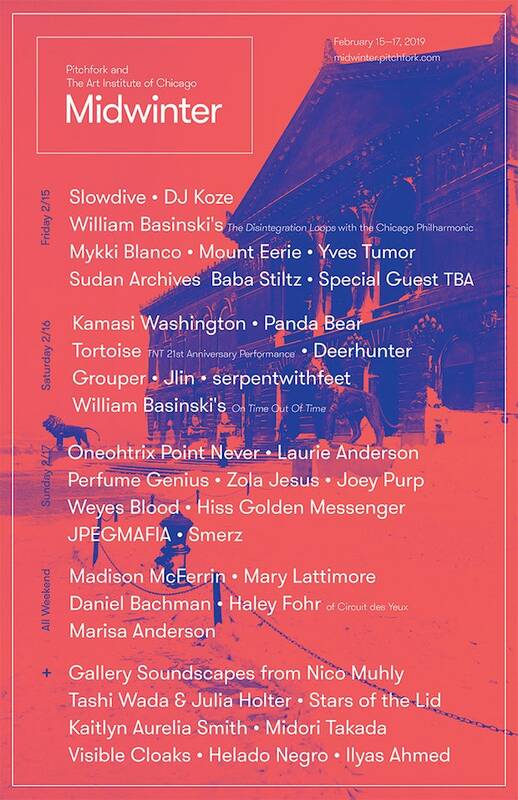 Pitchfork and The Art Institute of Chicago present Midwinter, an all new music and art experience taking place February 15-17 in Chicago. The three-day event will bring together thought-provoking musical performances with iconic works of art. A truly elevated experience, it will feature more than 30 musical acts, produced by Pitchfork, performing amid masterpieces from the Art Institute’s wide-ranging collection. Select performances will also include original music productions inspired by art in the museum. With more than 60 bands each year Shaky Knees is a rock-lover’s dream. Since its inception, Shaky Knees has featured a diverse lineup ranging from world-renowned acts to up-and-coming artists. Shaky Knees Music Festival returns to Atlanta’s Central Park from May 3rd-5th, 2019. Firefly Music Festival is the East Cast’s largest alt-rock, hip-hop and electronic music and camping festival, taking place annually in The Woodlands of Dover, Delaware. The Woodlands is the place where festival fans immerse themselves in amazing performances, enjoy a wide assortment of food selections, spend late nights with friends in the campgrounds, and make memories that last a lifetime. Firefly 2019 will take place June 21st-23rd. 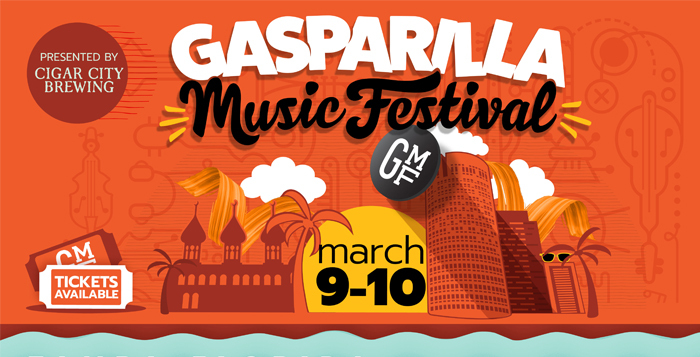 The Gasparilla Music Foundation is a Florida non-profit corporation that organizes an annual music festival in downtown Tampa the second weekend of March and supports music education throughout its Recycled Tunes program. The 2019 festival takes place in Curtis Hixon Waterfront Park and Kiley Gardens Park on March 9th & 10th, featuring musical acts from a wide variety of genres on several stages and cuisine from the region’s top restaurants. 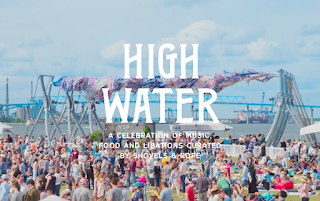 A two-day celebration of music, food and libations, High Water Fest is set to return for its third year to North Charleston, SC on April 13th & 14th, 2019. 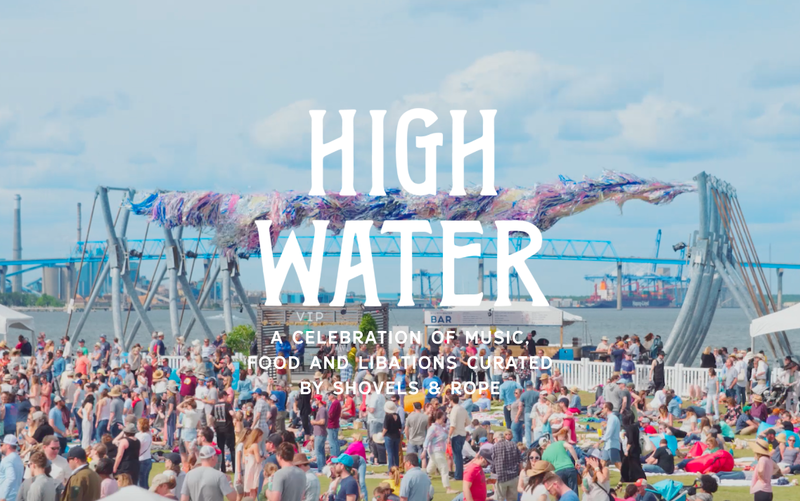 The festival is curated by the husband and wife duo Shovels & Rope. 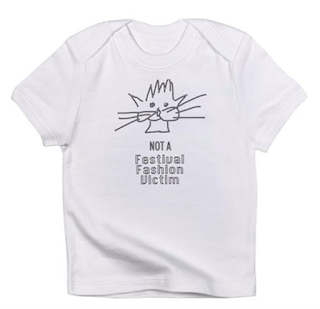 Have you seen the PDK Festive Merch page lately? 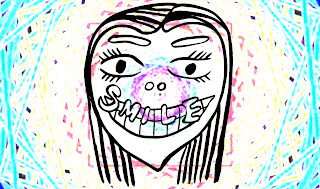 Check out the new designs. The 2019 New Orleans Jazz & Heritage Festival will expand to eight days at the Fair Grounds, kicking off on Thursday, April 25. 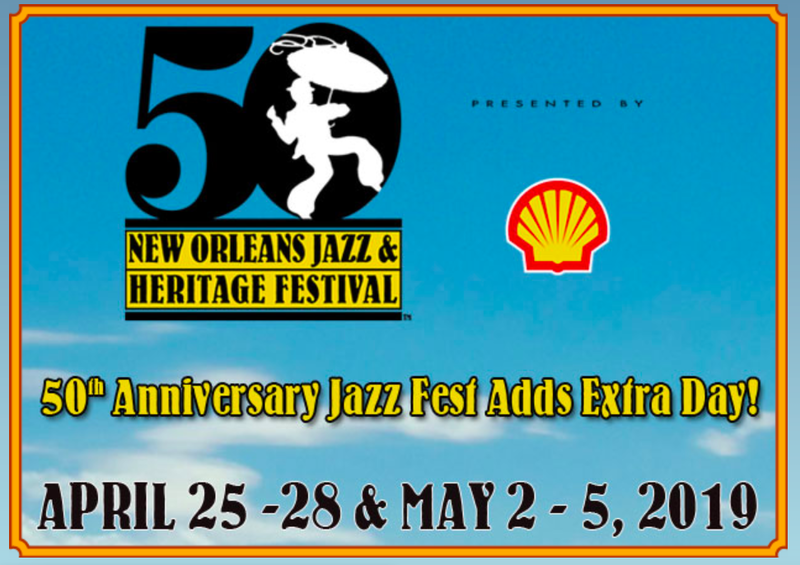 The extra day was added to the opening weekend to celebrate Jazz Fest's 50th anniversary. 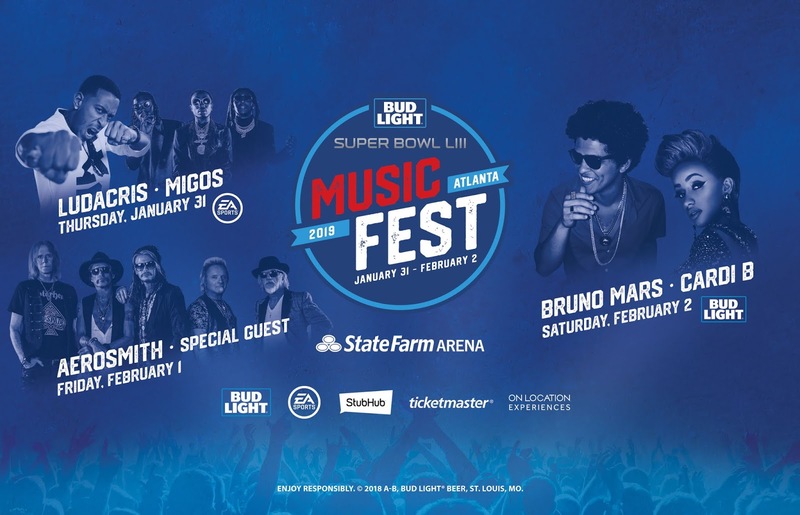 Bud Light Music Festival will give football fans and the entire city of Atlanta an opportunity to enjoy the artists they love from Thursday, January 31st through Saturday, February 2nd at Atlanta’s fully transformed, premium, sports and live entertainment venue State Farm Arena. 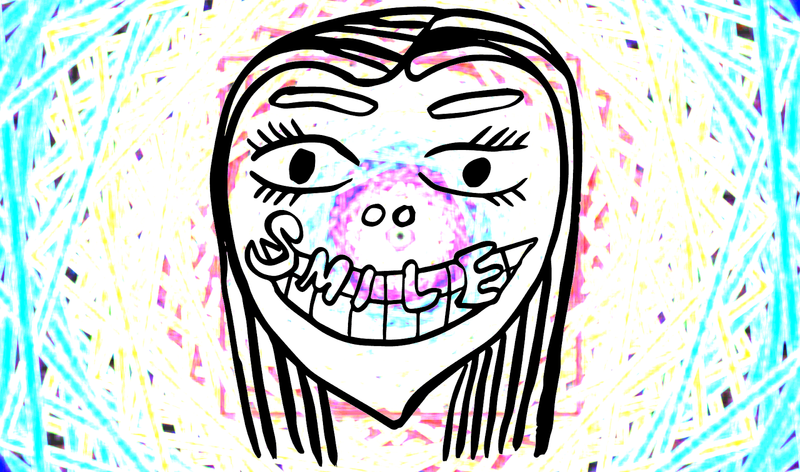 What would be on a playlist of your life?